The Abigail adventure series has been an amazing journey for Preschooler's & early learning. The series has already been amazing and this story is very educational. Sahara Adventure Is a review on another Abigail adventure. 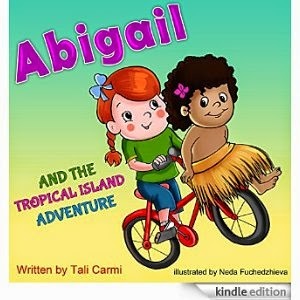 Abigail takes her magic bike to the island of Archipelago. She meets Lelie and they take turns teaching each other things that they each know. Abigail learns about Seashells, Starfish, Pearls and the Island. Abigail teaches Lelie and her whole family how to make power with her bike. This is a great ebook for learning.